I thought it was a little too smelly for me. It also didn't really feel like it was doing anything to my skin. My skin is pretty sensitive so I normally use something more like Glossiers Jelly Cleanser or CeraVe cleansers. Great Mascara for lengthening and volume. Although a lot of product comes off on the brush I just tend to wipe it on the one side of the tube as I remove it. This helps get less product so that it's not super clumpy. Lasts all day and my eyelashes still look great! I received this in a complimentary voxbox &I'm loving it so far! A great makeup remover that does not feel greasy or oily! If you are in need of a new remover I would suggest buying this! The perfect lip gloss ever! Not tooo sticky feeling like most glosses and the applicator is super super soft. 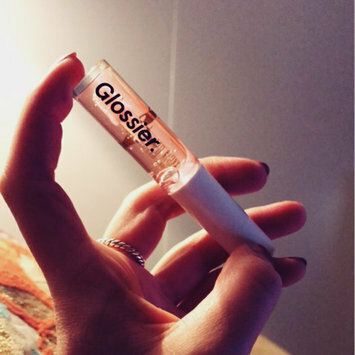 I am a huge fan of glossier and l love everything they do. All of this products are amazing. I just received this blur stick for my birthday and so far I absolutely love it! I definitely goes on nice and seems to give my face a nice base. Helps keep my makeup on all day and can be wore alone too! my favorite!! can be used everywhere! really helps dry skin/ dry lips. really great to use at night so that you dont have to worry about feeling a little greasy. hated this eye liner! so hard to get it to come out and onto your eyes. way better ones out there, dont wait your money.